Have you celebrated a bit more than you should have over the holidays? This spicy cocktail of the day is intended to help you out! January 1 is National Bloody Mary Day. It’s the perfect time to try this spicy Bloody Mary recipe. 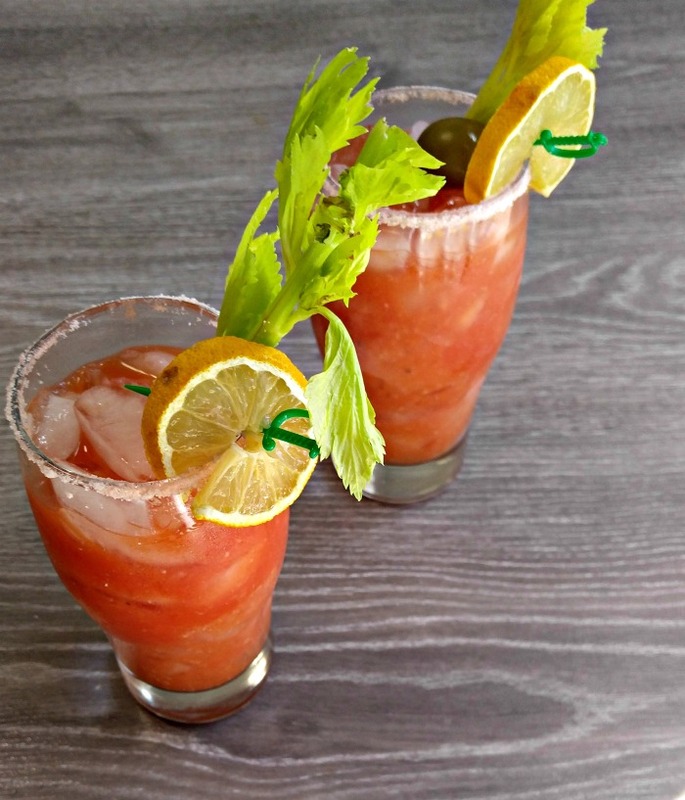 A Bloody Mary has long been considered a bit of a hangover cure. The tomato juice and other nutritious ingredients in the drink will give your body added vitamins while it is dealing with the alcohol in your system. It is thought that the vegetables from the tomato juice helps to replace or soak up the alcohol molecules residing within your system from a drinking bout the night before. The Bloody Mary recipe was first served by the Ritz Hotel in 1921, according to Food and Drink in American History: “Full Course” Encyclopedia by Andrew F. Smith. Let’s make a Bloody Mary Recipe. Most cocktail recipes are much easier to make than one might think and the Bloody Mary is no exception. I like to salt the edge of my glass for a decorative effect. Just add some sea salt to a plate and moisten the rim of the glass with the salt. 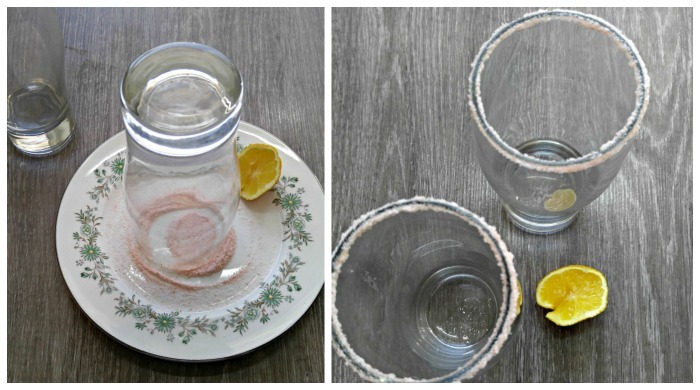 Use a lemon wedge to moisten the glass edge and dip the glass rim into the salt. 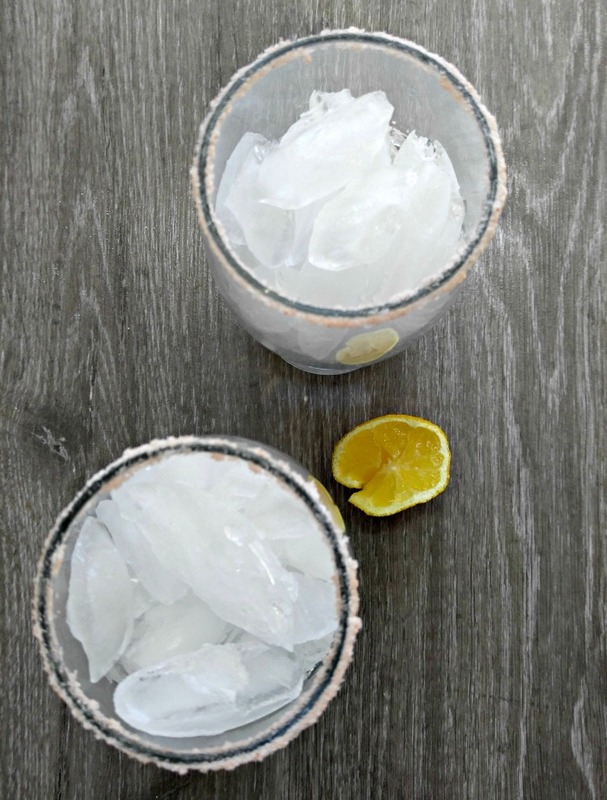 Once the glass has been prepared with the salted rim, fill the glass with ice and set it aside. Combine all of the drink ingredients in a cocktail shaker filled with ice. Give it a really good shake to combine everything well and use the strainer to strain the drink into your prepared glass. The traditional garnish for a Bloody Mary recipe is a stalk of celery, but there are many other options that go well with the tomato juice. The more garnishes you add, the better the drink will taste! The extra vegetables also add the nutrition that makes this drink the hang over cure! Lemon is an obvious choice, since the drink contains it. I also like to add an olive to compliment the Worcestershire sauce. Other options are cracked black pepper, bacon, beef jerky, and baby dill pickles. Tips for a great Bloody Mary Recipe. Don’t skimp on the ingredients. Each item adds a layer of flavor to the drink. You may not think you want horseradish in the cocktail, but it does add to the spicy flavor. It’s not just about the tomato juice folks! Spice it up. You can go heavy or lightly but some hot sauce is what makes the drink. Start with a couple of dashes of hot sauce and add more as you find you like it. Regular vodka is fine. There is no need for top shelf vodka in a spicy bloody Mary cocktail. Experiment with garnishes. If you only use a stalk of celery, your drink will be calling out the to the 1970s.Today’s Bloody Mary recipes are loaded with garnishes! Olives, bacon, shrimp and lemon can be added for extra taste, texture and effect. This delicious Bloody Mary cocktail is useful as a hangover cure. 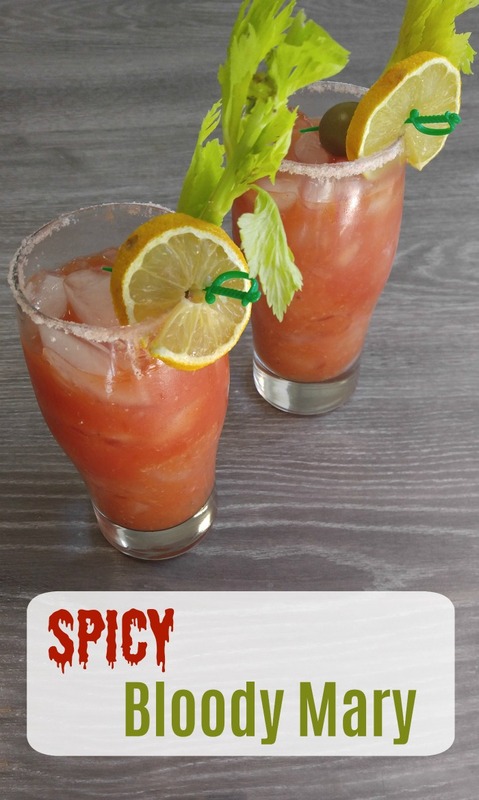 great for a spicy weekend brunch addition and is also the perfect drink to serve for Cinco de Mayo celebrations. I also like to serve a Bloody Mary with appetizer recipes for a fun and easy entertaining night. Whatever you add for garnishes, this Bloody Mary cocktail is a blend of tart, salty and spicy goodness that is sure to please. This spicy bloody Mary cocktail is spicy and nutritious. It is thought to be a good hangover cure. Salt the rim of a tall glass by pouring salt onto a small plate, moistening the rim of the glass with a lemon wedge and pressing the rim of the glass into the salt. 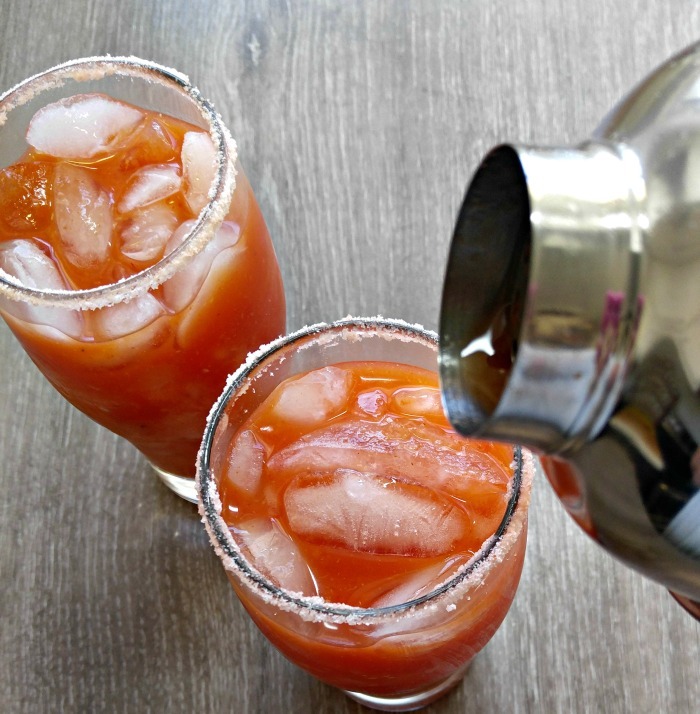 Pour in the tomato juice, vodka, Worcestershire sauce, horseradish, hot sauce and salt and pepper to a cocktail shaker filled with ice. Give everything a good shake for several seconds. Strain the Bloody Mary mixture into the prepared glass. 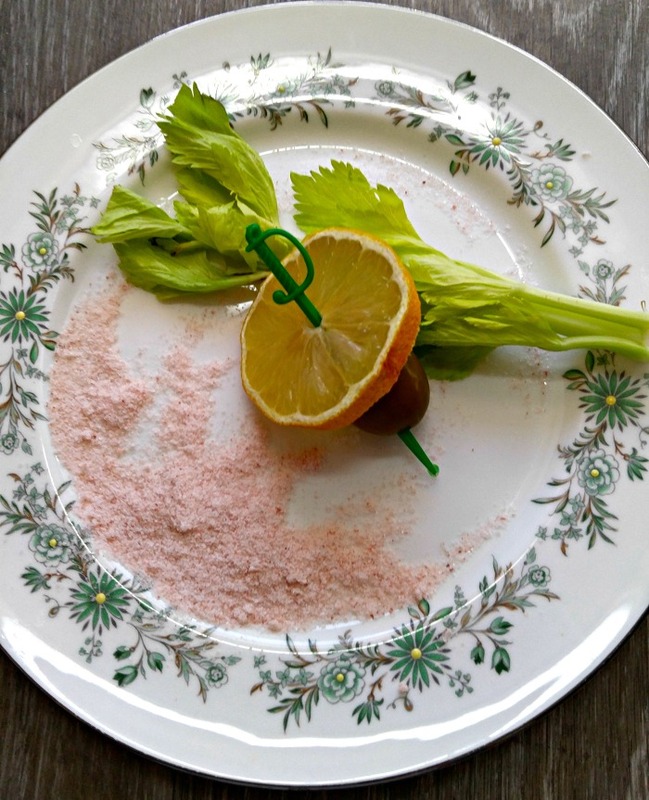 Sprinkle over the lemon juice and garnish with the celery stalk, a green olive, and a lemon wedge. Serve immediately.